I've been through several changes in the past couple of months with my hair color. My biggest change was this color, and though I loved it at the time, I realized I feel more like myself with a more orangey sort of red. I was scared of throwing too much pink in there at first, which is why I asked my hairstylist, Erin, to be subtle. The more it grew on me, though, the more vibrant I wanted it to be. Sometimes you have to ease into change, you know? Well, I promised I would report back on how the Ion Color Brillance brand pink was for my hair, and sadly, it washed out a little too quickly for me. 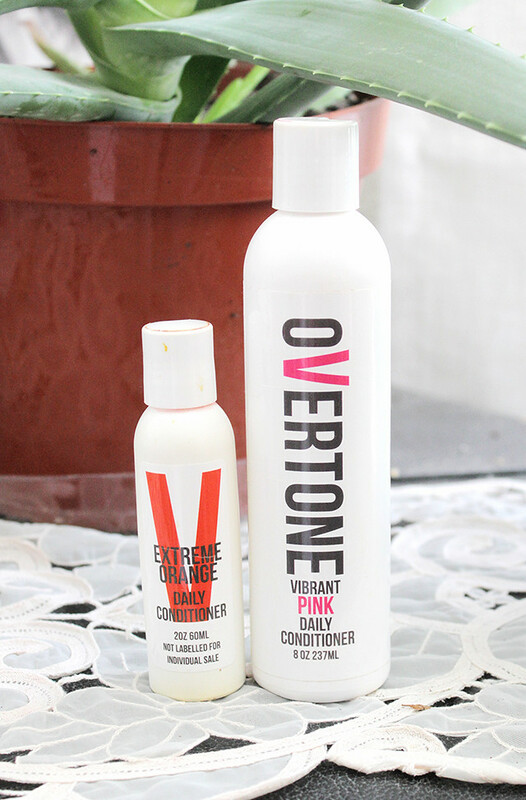 I've currently been using the Overtone conditioners on my hair (you use them as regular conditioners in the shower to keep your color vibrant), and so far I've been loving them! I started with the Vibrant Orange for the top of my hair and Vibrant Pink for the bottom, but have recently transitioned to Extreme Orange for the top. It seems to be covering my roots pretty well, which is definitely a bonus! That's where I am with hair colors right now. The change has been nice for me lately-- I think it was something I really needed. I'll keep you updated on my hair care routine in the coming months! 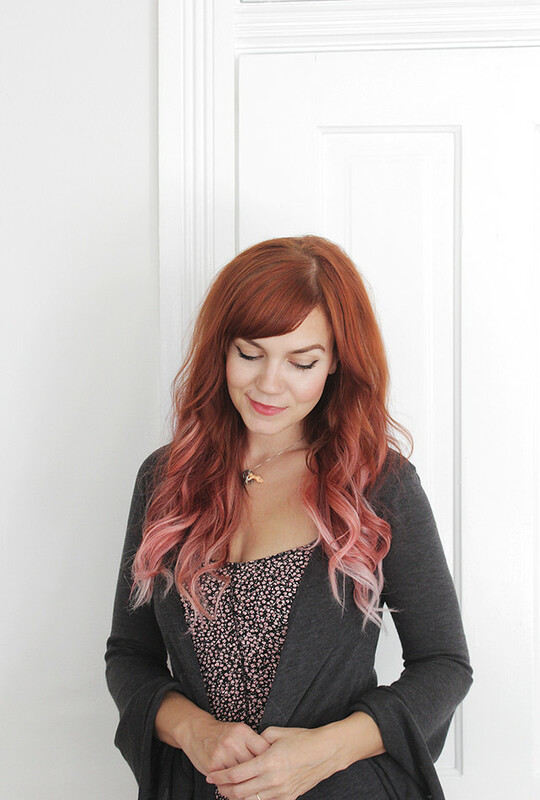 Love the multi-color look with the darker on top and lighter (pink!) on bottom! Also, is that a new Monroe piercing?! Good eye! I had it pierced and took it out about 5 years ago, but decided to put it back in last week! I really love your new hairstyle! It looks fantastic! It looks great on you! I'll say a prayer to the hair gods that yours stays vibrant! 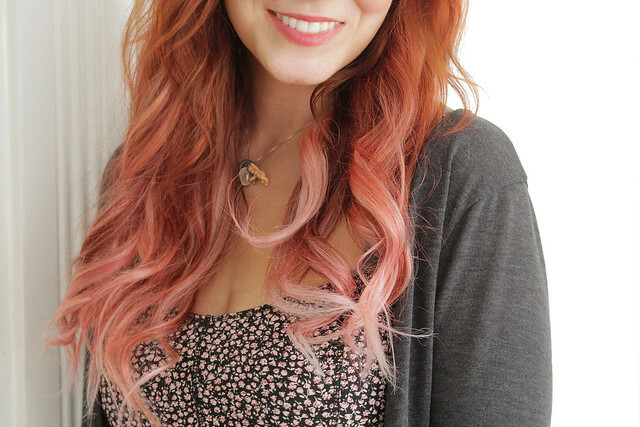 That pink is gorgeous, wish my hair was light enough to dye without bleaching! I really love the color! To be honest, it's very unique and I haven't seen a red head with this look - love it! Also, can we talk about how gorgeous that sweater is? Love this. 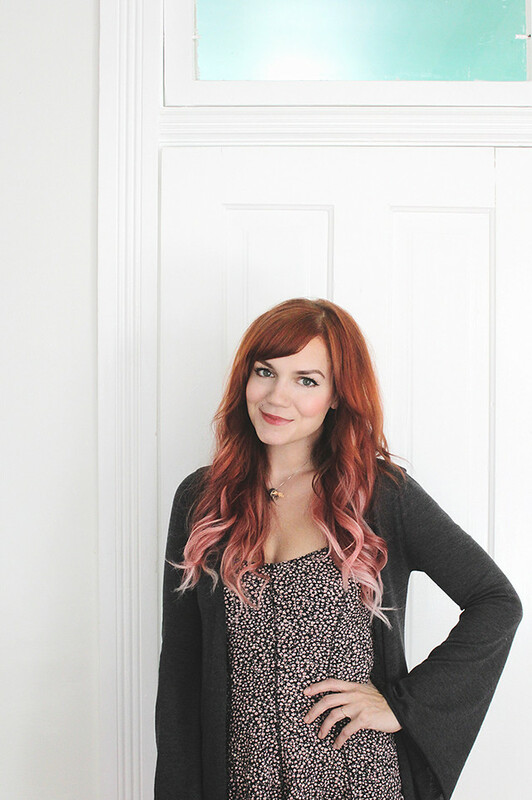 I have bright red hair and I think I'll definitely have to try this pink-tiped-amazingness you have going on sometime! 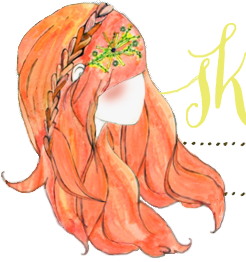 Btw, I illustrated you on my blog! Here's the link, if you looked at it, it would mean the ocean to me! THANK YOU FOR SHARING THIS!! i'm about to get my hair colored blue - so i was needing something good! I know that this post is about your hair … but do I spy a lip piercing?! Too cute! !